After a wonderfully busy February (thank you, Valentine’s), I thought I’d take advantage of March being dead quiet to launch my newest range, Hell’s Belles. Inspired by Chantal Claret songs, Maggie Stiefvater novels, the pastel goth tag on Instagram and every ‘inspiring’ poster I’ve ever dry heaved at, Hell’s Belles is one of my favourite things I’ve worked on so far. You can see bits and pieces of inspiration for it on my Pinterest. 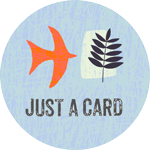 You can get all designs in postcard form, plus a few as stickers, here. I hope to see some of you at the Cliffs Pavilion craft fair tomorrow!